The legal profession is made up of people known as lawyers, barristers, solicitors, judges, magistrates and the like. How exactly are they similar or different from each other? They all deal with the legal profession but the differences are mainly found in the area of law that they are working on and the scope of their work. The term lawyer is given to a licensed legal practitioner who is both a solicitor and a barrister. A barrister does not go into litigation but rather he gives legal advice on matters of special interest. He usually does not deal directly with clients. He becomes involved when a solicitor requests him to speak out on behalf of the client. On the other hand, a solicitor gives legal advice and deals directly with clients. 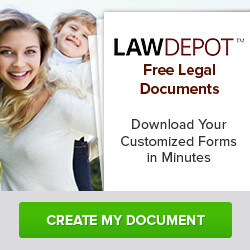 They are also the ones usually tasked to prepare legal documents. They conduct and deal with legal matters outside the court. There are now circumstances in which the solicitor can appear in the lower courts. Solicitors have to go undergo legal training by way of earning a law degree or completion of a conversion course. The individual then has to finish the Legal Practice Course then serve as an apprentice for two more years.